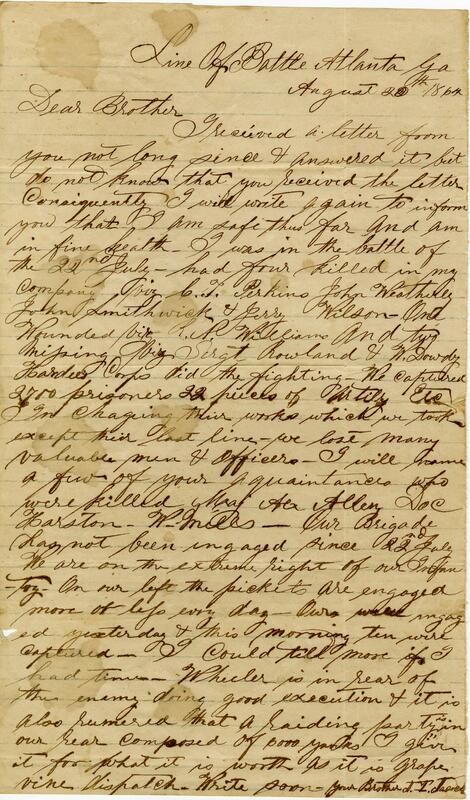 Item Description: Letter from J. I. Jacocks to his brother. He writes that he fought in the battle on July 22nd and that his company lost 4 men but took many prisoners. He also states that it is rumored that there are 6000 Union soldiers at their rear. This entry was posted in Southern Historical Collection and tagged Atlanta, Battle of Atlanta, Georgia, Jonathan Jacocks Papers. Bookmark the permalink.